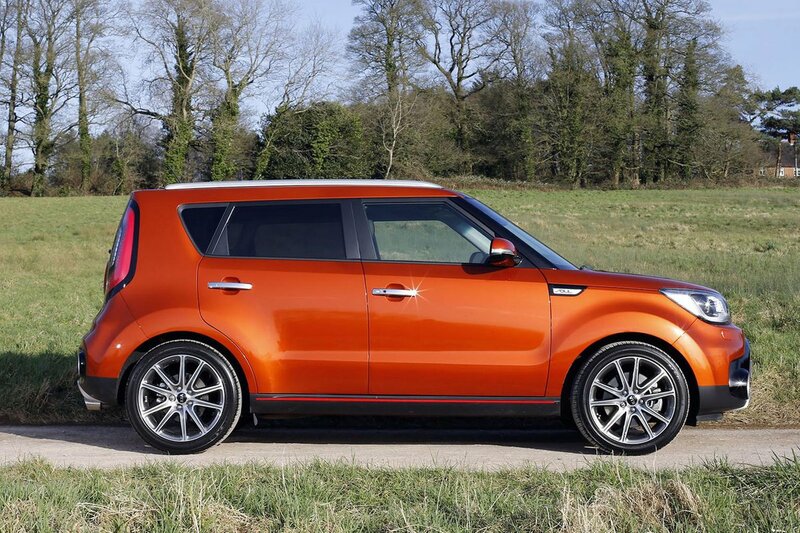 Kia Soul Interior, Sat Nav, Dashboard | What Car? Tall drivers will be relieved to find plenty of reach and height adjustment available for the Soul’s steering wheel, which already makes the job of getting comfortable easier than in a Nissan Juke that has steering wheel height adjustment only. There’s a wide range of up and down adjustment to the driver’s seat, too, with the only annoyances being the lack of lumbar adjustment and, like many of its rivals, a ratchet lever for the backrest recline. This offers a limited range of positions for the backrest angle. Only on the most expensive Sport model are these irritations overcome, thanks to its standard 10-way electric seat adjustment, including lumbar. The dashboard is sensibly laid out, so you shouldn’t struggle to find the light switch or change the heater’s settings on the move. The large, clear instruments are easy to read as well. There’s a good view out the front thanks to relatively slim windscreen pillars, but sizeable rear pillars and a small rear window restrict your over-the-shoulder view. That said, it’s still easier to see out of the back compared to the Renault Captur and particularly the Nissan Juke. A reversing camera and rear parking sensors are standard on all but the entry-level ‘1’ trim, so they mitigate your chances of a parking bump, while ‘3’ trim comes with front sensors, too. Opt for the entry-level ‘1’ trim, and you get a pretty basic system with a small LCD display, although this does feature a DAB radio and Bluetooth. Our favoured ‘2’ trim comes with a much more advanced infotainment system that rivals the best of the class competition in terms of ease of use and features. The various menus are easy to navigate and the 7.0in colour touchscreen is clear and responsive, while shortcut button either side of the screen make it less distracting to operate on the move. Apple CarPlay and Android Auto come as standard on this system, so you can operate your smartphone from the screen, and you also get an in-built sat-nav with live TomTom traffic updates. Jump up to ‘3’ trim and above and the screen size increases to 8.0in and it adds an upgraded JBL eight-speaker sound system, which includes a subwoofer for a those that like a meaty bass note. 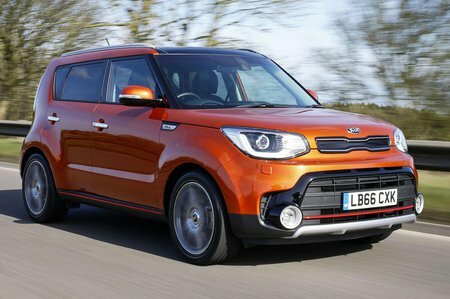 Considering it’s at the lower end of the SUV price scale, you might expect the Soul to feel a little cheap and cheerful inside. Well, it’s pretty cheerful, but cheap-feeling it certainly isn’t, feeling a cut above rivals such as the Nissan Juke and Renault Captur. The main bulk of the dashboard comes trimmed in a pleasingly squidgy finish that looks and feels classy, all the switches and buttons have a nicely damped action, while only the basic ‘1’ trim misses out on a plush leather-trimmed steering wheel and gear lever. 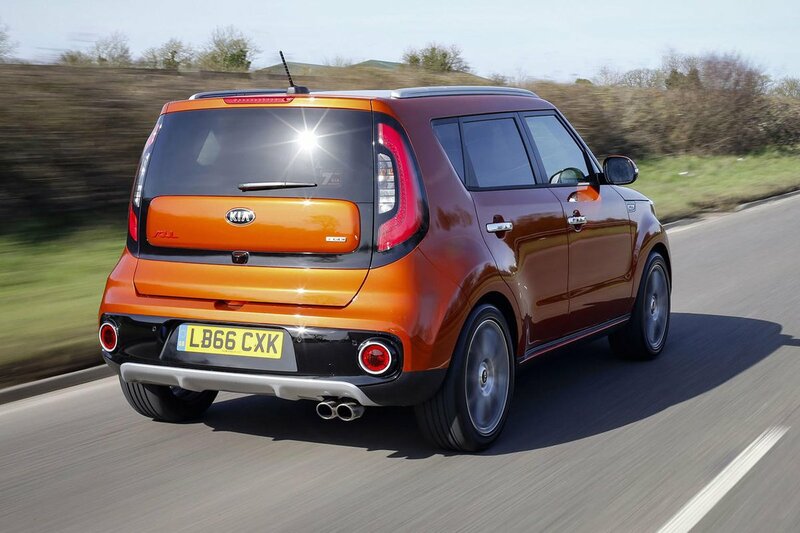 There are harder plastics dotted around, but Kia has done a good job of keeping them mainly to the lower surfaces.